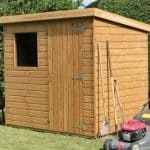 Gardeners everywhere will appreciate the quality and handsome looks of the 5000M Greenkeeper Premier Tongue and Groove Pent Shed. 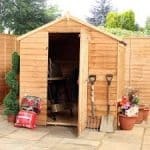 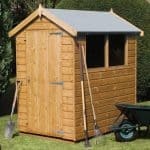 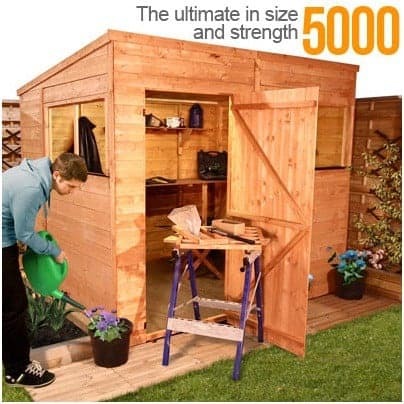 Giving you good workspace and storage this is a top quality premium shed exceptionally well-priced. 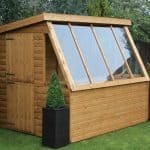 Complete with functional dual aspect windows to let light and air inside and a large door to enable you to transport equipment to and from easily it’s one of our bestselling workshops. 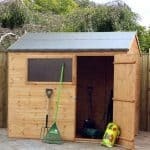 The tongue & groove cladding give it extra strength and the hard wearing wood will make this shed last for many years. 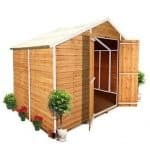 Strong, sturdy and great looking it’s a real focal point for any garden space without being too imposing.